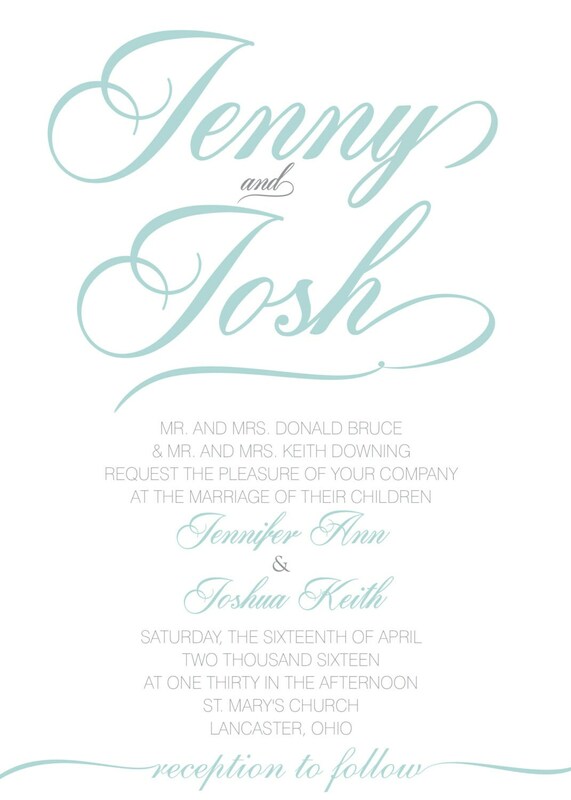 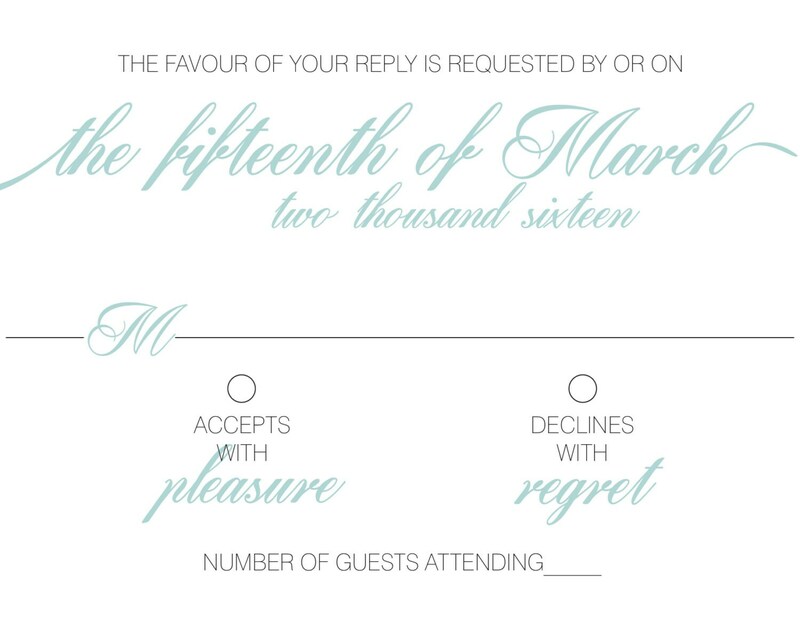 This classy but modern wedding invitation is perfect for any wedding. 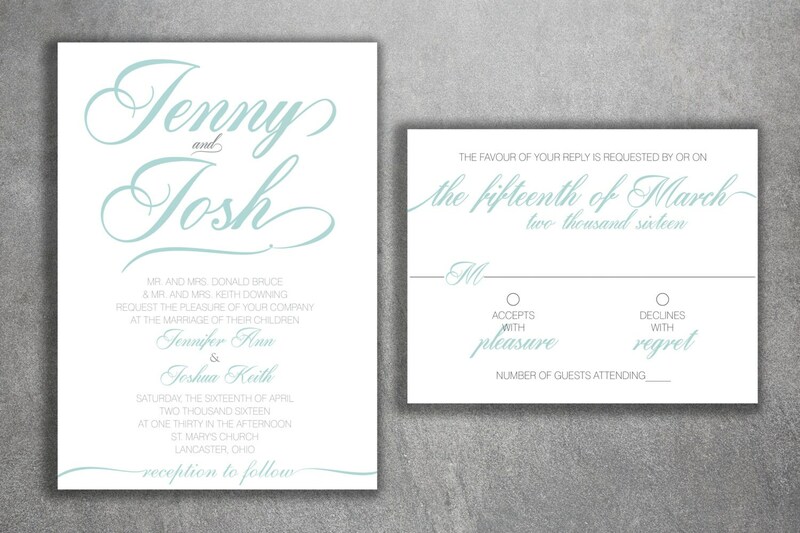 Its simple script gives it just the right amount of elegance to go with your big day. 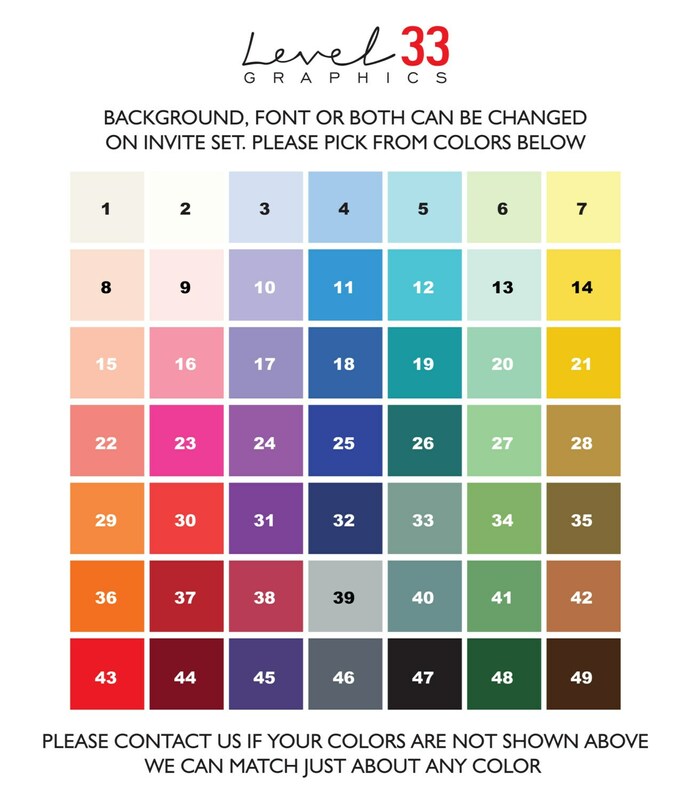 All the colors you see here can be changed to match your wedding theme. 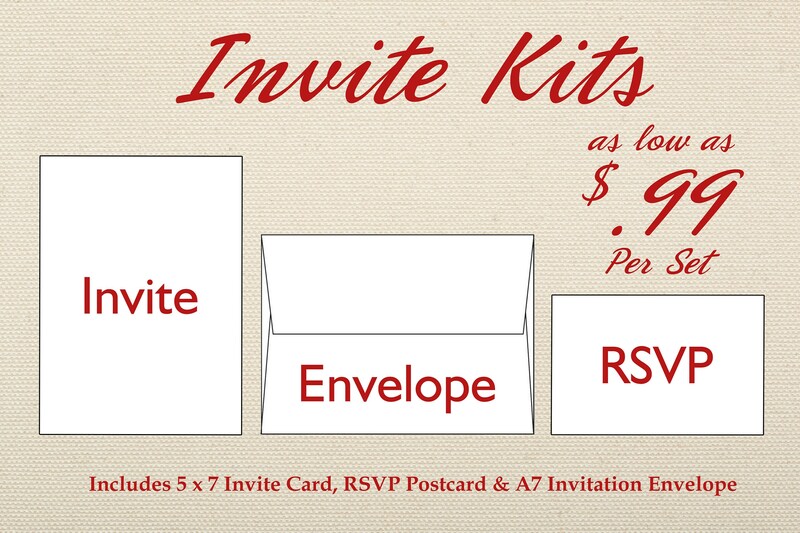 All invitations are printed on premium 100 pound card stock and completely customizable.